While furnace is an important home appliance for its function as heater, it also plays a less obvious role of adding value to your home. A home without a good furnace is less attractive to buyers and real estate marketers alike so the cost of a furnace installation is worth it to add value to your home. So you have decided you need to sell your home. The only problem is that the furnace you have at present is in a bad shape. And you are asking yourself if the cost of installing a new one or repairing the faulty furnace in your home is worth it. 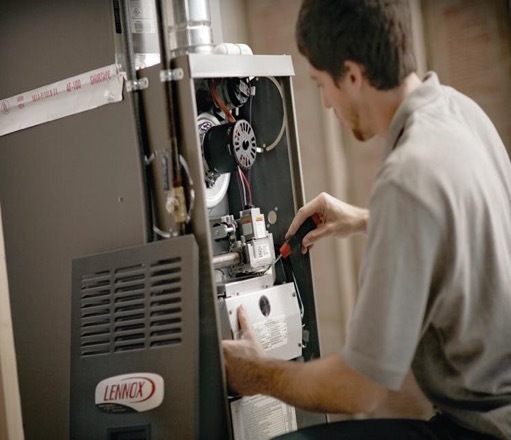 Below are some of the reasons why the cost incurred in a furnace installation and repairs in your home is worth the value it brings eventually. An average of 60 percent of home buyers say that furnace is “very important” for the comfort and added value. On an average, these home buyers will be willing to pay an additional $2,550 or slightly more for a central furnace. Even though they won’t be willing to cover all the cost which is in the range of $5,000 and above, it’s obvious that the extra amount they are willing to pay is an upgrade to the value of the home. If you have had to move before, you know how stressful this can be. The last thing a buyer wants is to continue with the stress of repairs and additions even after moving in. What this means is that buyers would normally prefer houses that are in great shape. And heating system is one very important consideration for buyers especially in temperate regions where temperature can be as low as -30 degrees. Also with the possibility of winter, buyers don’t want to be caught up unprepared. 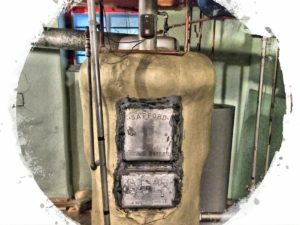 Got an old boiler? Consider a new furnace installation! Since it is now common for states to offer incentives for electrical systems that minimizes power use, single home buyers and real estate developers find a home with an eco-friendly furnace very valuable. Home owners savour the incentive which is mostly tax break and a savings on energy bill. So with an eco-friendly, well-functioning furnace in your home, your home will turn out to be a preferred choice out of a long list of probable buys. Realtor.com states that a broken, old or outdated furnace would have to be replaced as part of inspection report. Failure to do this might mean buyers either asking you to lower your stated price or even looking elsewhere. Bottomline is it can even stop buyers from making an offer altogether. So it is obvious that while the cost you incurred in replacing your furnace might not be outrightly paid out by the prospective buyer, you will still recover your invested fund by way of a faster and more lucrative sale. A brand new furnace prevents doubts, makes your home more attractive and leads to a faster sale. This faster sale reduces cost for you by eliminating double mortgage fees if you have already moved to your new home. It also reduces cost incurred in maintenance of the home you want to sell. The cost incurred in trying to sell the home will also be removed. Buyers can be all shades of skepticism. Once they find one malfunctioning aspect of the home they intend to buy, they begin to assume that a couple other aspects that are not obvious at the moment might be faulty on the long run. When a buyer starts to have this mindset, it leads to loss of confidence, lower pricing or an eventual refusal to buy. To avoid all of these, it is important to not give your prospective buyer any room for doubt. Replace that malfunctioning furnace and any other unit that is failing. Don’t bother about the cost as you will eventually recover them by way of a higher selling price. Your main aim is to retain the confidence of your prospective buyer on your home. Furnaces and other HVAC systems are not designed to work forever. Furnaces of ten years and above can spell doom for your home. By mere looking at it, the prospective buyer begins to imagine countless faults and with this, doubt begins to set in. Newer furnaces adds both value and cuts down on utility bills. If you are considering selling a home in the nearest future, certain remodelling will add much value to the worth of your home. One of such remodelling projects is the furnace; ensure to replace your broken furnace before selling your property. Any Furnace Installation Company will agree that buyers expect the HVAC system in any home they intend to buy to be working and well maintained especially in locations where air heating is compulsory due to extreme weathers.